There is one cult figure who didn’t die aged 27. He was 46 when he died in a car crash in 1960. 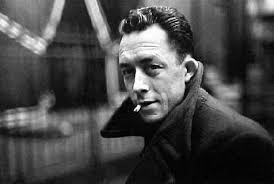 It’s the author and philosopher Albert Camus, the man who wrote that “There is only one really serious philosophical question, and that is suicide” given that “This world in itself is not reasonable, that is all that can be said”, It a world reflecting The Myth of Sisyphus, where, “Should I kill myself?” in the face of the absurdity of life is the essential philosophical question. The main concern of his book, The Myth of Sisyphus, is to sketch ways of living our lives so as to make them worth living despite their being meaningless. Why keep trying, why keep struggling, why continue suffering, why pushing that stone up the hill when it will keep rolling down each time you thing you’ve just made it? Not just heavy, but difficult to answer too. For me, there is a will to live; there is an obligation to live; and there are the moments to live for. And all that has become so much clearer over the past few years, and even over the past weekend. In an inexplicably weird way the meaning of life reveals itself in all its clarity when life is most challenging and absurd.